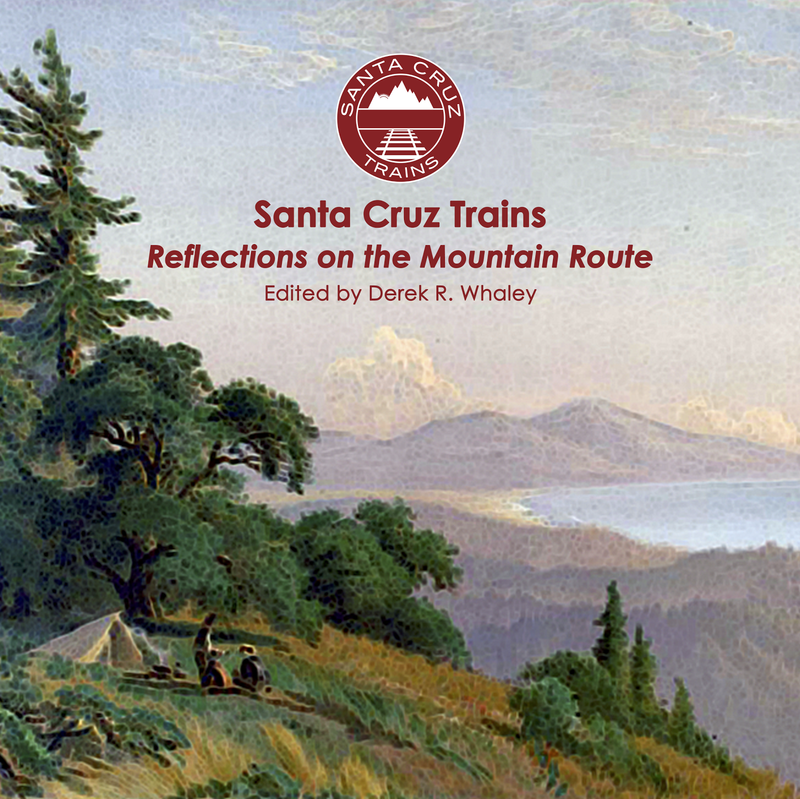 Deep in the Santa Cruz Mountains, not all railroad stations and stops were for tourists, small towns, or large corporations. When Clems first appeared in Southern Pacific Railroad agency books in 1888, the stop was only known as "Tunnel No. 4." But E. A. Clem, the property owner, had plans for this place. Under the banner of E.A. 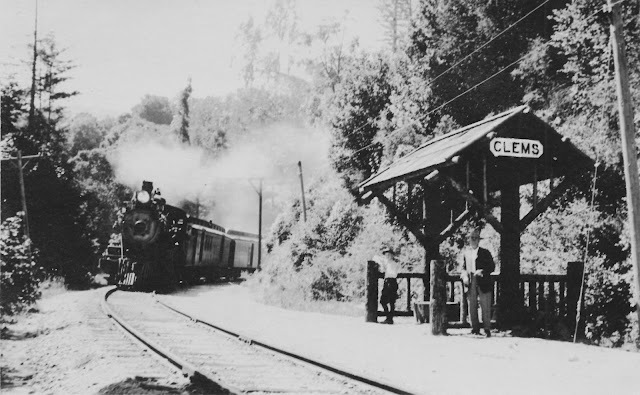 Clem & Company, he purchased a tract of land for $1,5000 and built a small lumber mill in 1881 just outside the western portal of the Mountain Charlie Tunnel (Tunnel #4) and hired thirty lumberjacks to harvest the redwood on his land. 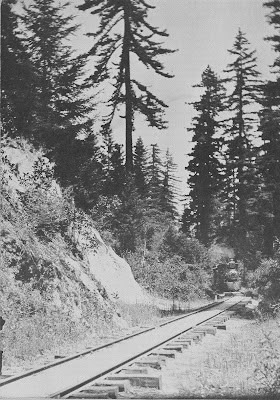 The South Pacific Coast Railroad built a short, 186-foot-long spur off the mainline just outside the tunnel and it probably stopped just beside Glenwood Drive, which served as the county highway. Initially, one of Clem's partners, D. Gardiner, ran the mill while Clem and J. E. Doolittle operated a retail lumber yard in Oakland. However, Gardiner committed suicide in 1882 after embezzling money from the company. This quickly led to the collapse of the company. Clem became the gate-keeper of the South Pacific Coast Railroad's wharf at Alameda Point and then moved to Seattle in 1883. For the next fifteen years, Clem's former station on the mountain line was simply an unused reference point. In 1897, Clems suddenly appeared on employee timetables under the name Clems as a public flag-stop. At around the same time, a small, open-air, untreated log passenger shelter was erected between the tracks and the hillside across from Bean Creek. A single passenger bench was installed beneath a high shingled roof and a crude wooden deck was built beneath it. Presumably, this structure was meant to be used by the local residents that lived along Mountain Charlie Road and beside Bean Creek Road in this area. Curiously, local resorts such as Mount Pleasant Farm and Summer Home Farm, which were both located just a mile to the south, chose to use the main Glenwood depot rather than arrange transport via Clems, although it is likely guests of both resorts may have used this stop informally since it was within walking distance. The newspaper came to calling the location "Clem's switch" at this time, a name that stuck for the next twenty years. A train approaching Clems from the north, c. 1900. In 1907, the Santa Cruz Portland Cement Company, primarily located in Davenport, began mining at a small clay quarry near Clems. Photographic evidence from this period dose not show a spur or loading area, so it is unknown how train cars were loaded or even where specifically the quarry was located, but they certainly used the trains to ship out their exceedingly heavy product. Newspapers before and after the standard-gauging continue to note the existence of a spur or siding, although where specifically this was located cannot be determined from extant documents. In 1908, William J. Dingee retained ownership of the Clems quarry after losing control of the cement company and he hired fifty miners to work the hills around Bean Creek. Dingee's operation continued well into the 1930s and probably is a reason why Clems station remained on timetables throughout this period. Regarding the station itself, it underwent major upgrades in 1911. The rustic shelter was replaced with a prefabricated wood box shelter, similar to those found at Olympia, Eccles, Zayante, and elsewhere. In 1915, contractors rebuilding the road bridges over Bean Creek used the siding at Clems to unload materials. The station remained on the books until the end of the line in 1940, although it was demoted to a flag-stop in 1939, suggesting freight operations in the area had ended by then, probably shuttered due to the Great Depression. The shelter was removed in 1941 when the rest of the line was demolished. Its ultimate fate is unknown, but it was probably taken by a local resident for use on their property, as was the case with similar shelters in the area. The site of Clems is entirely on private property, located behind a gate off Glenwood Drive roughly one mile south of the old Glenwood town site. The right-of-way in the area is clear and used as a private driveway for a home. The approximate site of the shelter is virtually unchanged, although the removal of the structure, including its foundation, makes it difficult to mark with precision. Trespassing is highly discouraged. Logan, Clarence A. "Limestone in California." California Journal of Mines and Geology, Vol. 43, No. 3. July 1947. California Division of Mines, San Francisco, California. Pages 175-357. 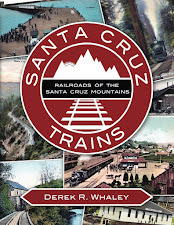 Hamman's book has a Dougherty mill located in the Zayante Valley. From his map, it looks like it was located near the confluence of Lompico & Zayante creeks, with a narrow gauge spur leading down to it from Eccles. Of course, Dougherty might have had lots of mills! I wonder if the narrow gauge spur followed the current Zayante School road... Do you know if a school house ever existed there? Any extant photographs? Clems is indeed still shown on the Coast Division Employee Timetable # 144 for March 21, 1937 but none of the five passenger trains are shown as stopping on flag here and there is no siding or telephone here either. All of the other stations between Los Gatos and Santa Cruz - aside from Felton which was a regular stop - are shown as flag or regular stops for at least one of the five passenger trains except for Golf Links near Santa Cruz.